Home / Adventure / product or service reviews / VGP Snow kingdom Chennai: Experience and review. Discounts: None at the moment. 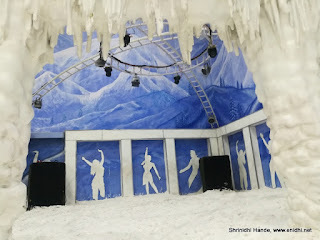 Combo tickets available- VGP + Snow Kingdom at 895 rupees. Our ticket didn’t have a batch number written on it- I think it is ok if you don’t want to go in rightaway. During our visit some 30-40 people were present in our batch. Not sure if there’s an upper cap per slot. We reached at about 11.30 AM, so had to buy ticket for next batch that would start at 12.15. We bought ticket and waited around for some time. At 12 noon they started accepting luggage (shoes n bags need to be stored) and started issuing boots, jackets and gloves. By 1205 noon we were allowed inside a chamber, where we had to wait for another 10 minutes. At 1215 sharp we were allowed inside the large chamber with temperature which is said to be minus 8. 1. 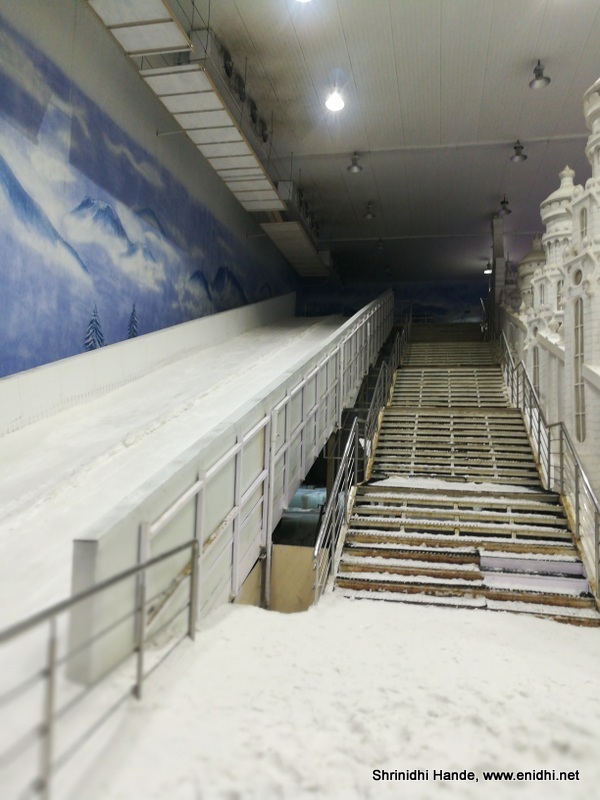 Once inside, we first headed to the slide- had to pickup a tube and climb stairs from which we could slide down a slope- some 100 meters long I guess. This was the main activity inside. There’s a kids slide as well. Watch the video. 2. 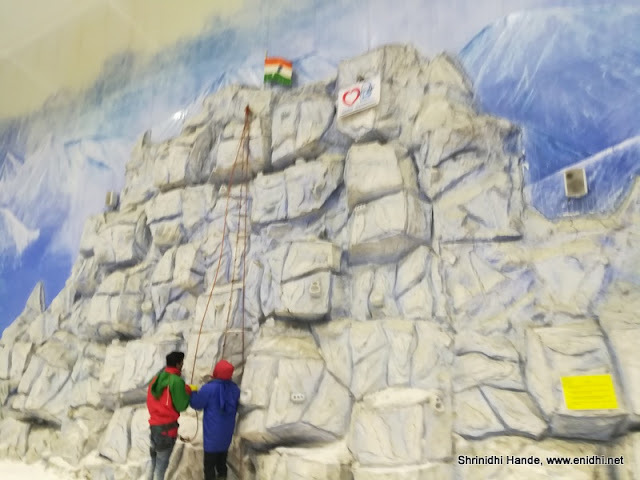 Rock Climbing: Next activity you can try is rock climbing- some 6-8 meters in height. 6. Dance: A small dance floor exists where music will be played and you can dance. No extra charge for any of the above activities and no limit on how many times one can try each activity. You may have to wait a bit when multiple people want to try the same activity. We were done with all activities in about 30 mins with a crowd of some 30-40 people. Didn’t face any undue delay or waiting. 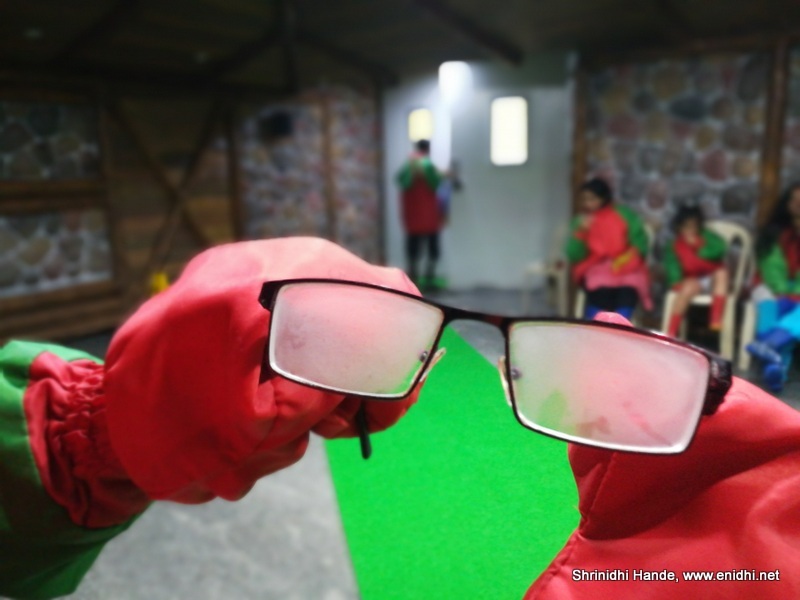 What to do if I feel too cold? Do we get any refreshments inside? One of the major challenge when it snows is the slippery surface. When I experienced real snow in Copenhagen last year, think layer of ice had formed on the roads/floors, making it very very difficult to grip. Shoe may slip anytime if we’re not careful and each step had to be kept very carefully. 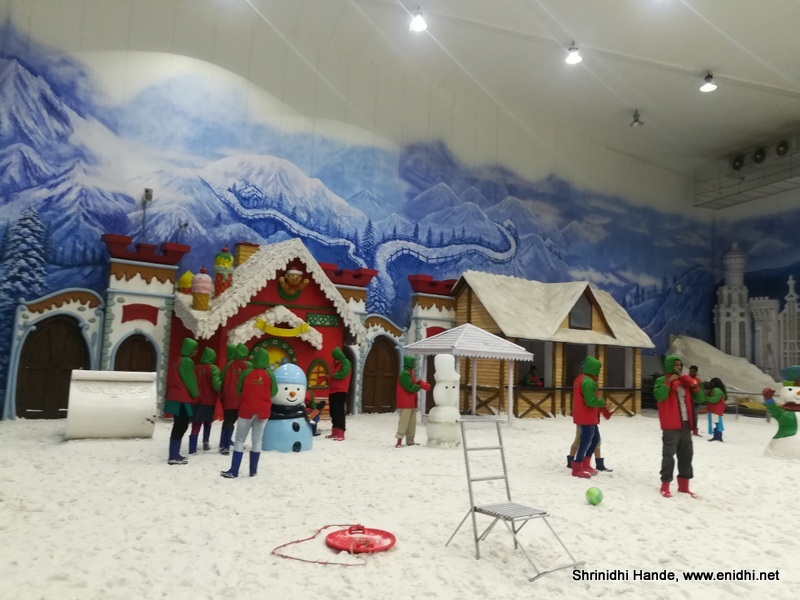 This experience couldn’t be had at snow kingdom, as the floor was full of crushed ice. May be they can keep couple of ice cubes and create a 10-20 meter track on which people can try walking, with some support/cushion for safety in case guests fall down. This will help people understand real problems with snow and ice. There is no snowfall. All the snow is on the ground. A bit of snow flakes falling from the sky would have been great. 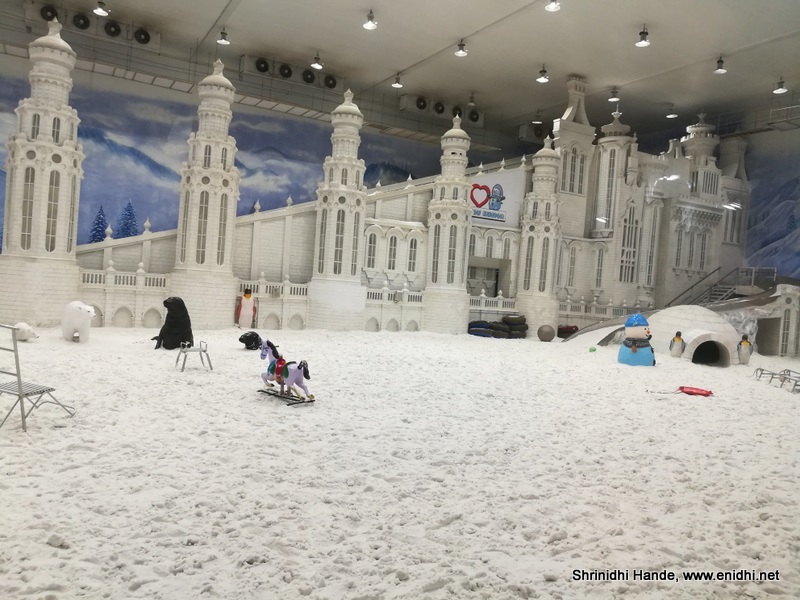 Snow kingdom can probably simulate this by blowing finely crushed ice pieces from top so that they float around a bit and land on people below. 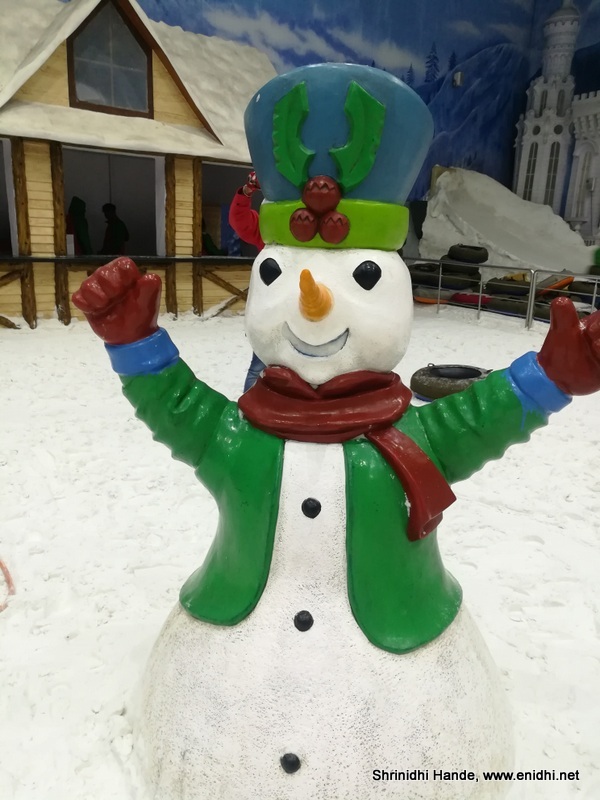 Also if I had my way, I would have kept a car inside, so that guests can experience how difficult it is to start a car in snow or remove ice formed all over the surface. But this part is difficult to replicate on a commercial scale and space inside is too small for this- so I agree this is too much to ask for. 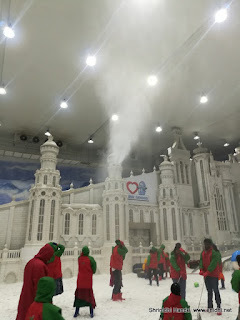 In summary, snow kingdom is a good way to experience snow in budget. 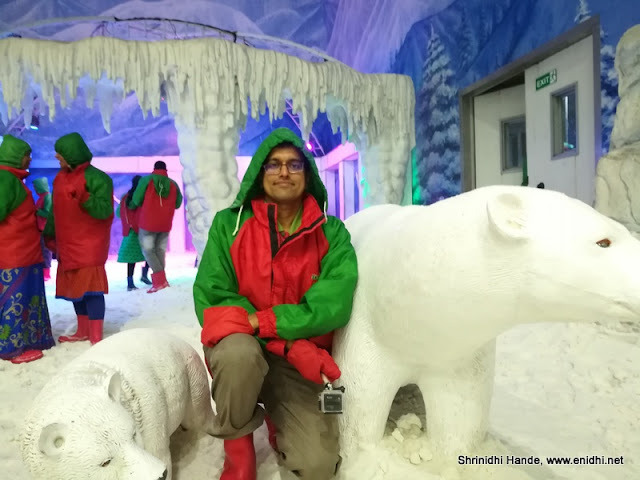 Though it is not 100% real and 500 rupees for 45 minutes may sound like a lot, it is lot cheaper compared to cost of visiting a real snow destination (A 3-4 day trip to Simla or Srinagar from Chennai will cost at least 15-20k per person, with lowest possible airfares and budget hotels etc, without any 100% guarantee on snowfall during the dates of your travel). 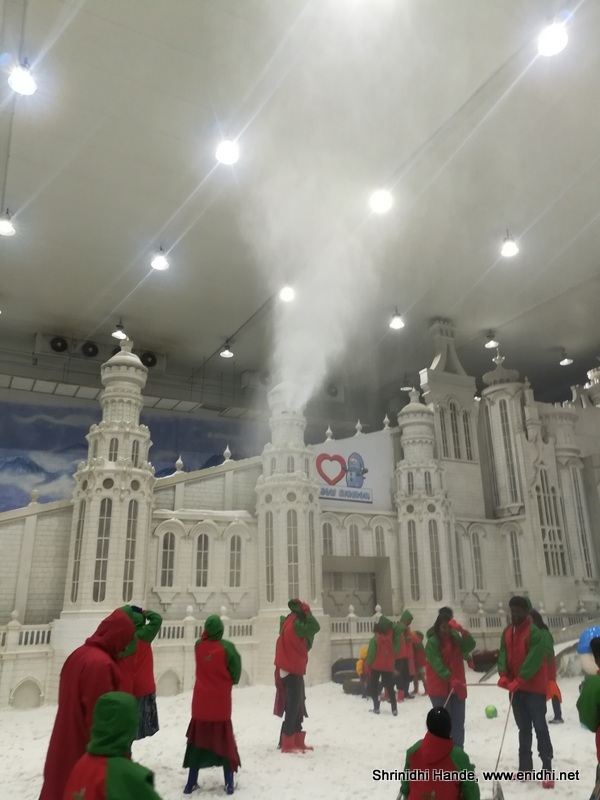 Snow kingdom has to run dozens of heavy duty air conditioners, spend on staff and other things. And they have no competition at present, so can’t complain much on the price. There is a snow city inside Pheonix mall, Velachery. I am yet to check it out. What else to do on ECR, Chennai? There’s one similar to this is Hyderabad too. But this one looks much better. The place has been designed very aptly.